Hunterdon Healthcare expands services into Bridgewater, with cutting-edge technology and top-notch professionals, to provide an exceptional healthcare experience. When patients walk into Hunterdon Healthcare’s new facility in Bridgewater, N.J., they will be immediately impressed by two things: the state-of-the-art facilities; and the high caliber of the medical professionals committed to providing the best care possible. 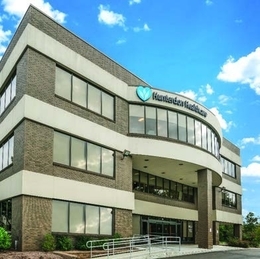 Hunterdon Healthcare’s services have expanded into the Bridgewater Medical Office Building at 1121 Route 22 West, which features a state-of-the-art outpatient lab and imaging facilities, along with a multi-specialty ambulatory surgery center, which was the result of two years of planning and development. Additional services at this location include specialty care practices, breast surgery, plastic surgery, urology, cardiology, endocrinology, gastroenterology, physical and occupational therapy, and soon, podiatry. These services allow the healthcare system to provide comprehensive care to patients. “Technology has helped us by leaps and bounds in medicine,” explains David Skillinge, D.O., the president of Hunterdon Medical Group. “Yet, it’s important to remember that behind the technology stands real people. We believe that what really helps drive health care forward is the vital bond between physician and patient interaction. Hunterdon Medical Group, owned and operated by Hunterdon Healthcare, includes a collection of more than 100 primary care and multi-specialty providers including two urgent care centers—representing 37 offices throughout Hunterdon, Somerset, Warren, and Mercer Counties. Patients come to a Hunterdon Healthcare provider for everything from cancer care, cardiovascular health, health and wellness, emergency care, children’s health, behavioral health, weight management, surgery, among other services. Primary care focuses on preventative medicine, which may help to explain why Hunterdon County has been selected “healthiest county in New Jersey” for several years in a row and Somerset County voted number one last year. Deborah Clewell, executive director of the Bridgewater Ambulatory Surgery Center, is extremely proud of her team, which includes seasoned staff who have experience working in operating rooms, recovery rooms, and catheterization labs, among other areas of the facility. Dozens of procedures have been performed in the center since opening its doors in June. In addition, there’s Hunterdon Advanced Imaging at Bridgewater, a new outpatient facility that provides top-notch mammography care, what Manager and Patient Care Navigator Alice M. Quinn describes as “a spa-like atmosphere.” The center provides 3-D mammography, bone density, ultrasound, MRI, CT scans, X-ray and cardiac testing. In the near future, each woman will go home with an added touch: a bouquet of carnations. Hunterdon Healthcare also installed the latest state-of-the-art mammography system, Senography Pristina™, the only one in Central New Jersey. This system is the most advanced technology for detection and early diagnosis of breast cancer. It’s safe, effective, and provides a layer-by-layer look through and around breast tissue. Dr. Skillinge says this kind of professionalism, passion, and commitment to care is exactly what keeps patients coming back to use Hunterdon Healthcare services. For more information, visit HunterdonHealthcare.org.